The UK EU referendum takes place on 23rd June. 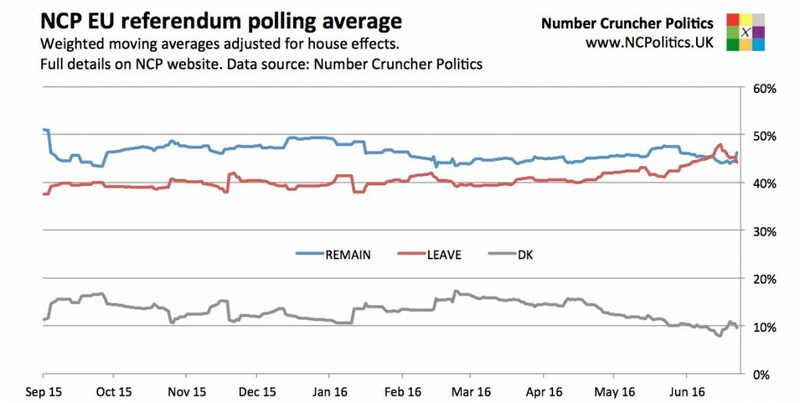 This page contains NCP’s EU referendum poll tracker, Brexit poll probability model and UK EU opinion polls. You can read more of NCP’s analysis on the EU referendum pages and the main site. The latest set of averages is based on a combined sample and the polling average (see this post for more details) is an aggregation of published opinion polls for the U.K.’s European Union membership referendum. Each poll is adjusted for the house effect of the polling company, with equal weight given to telephone and online polls. Pollsters are also weighted by their historical performance and other criteria, and prior to the very final days, more recent data is given greater weight. The most recent poll was conducted up to 22nd June. 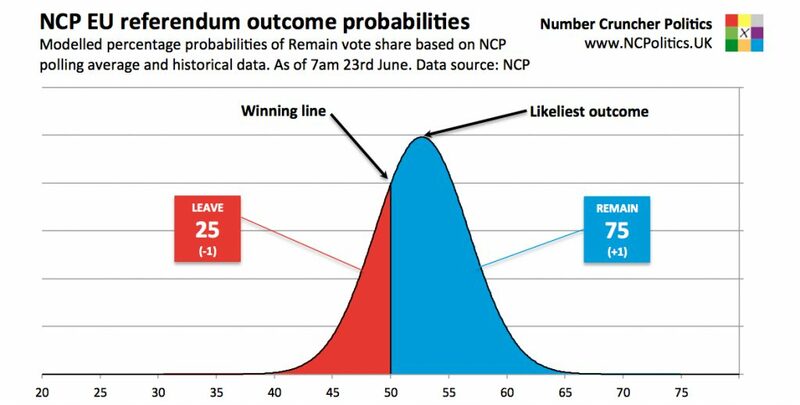 Further details of the NCP polling average are available in this FAQ and the EU referendum forecast model in this one.